Black and white negative showing the construction of Whitby Community Arena. 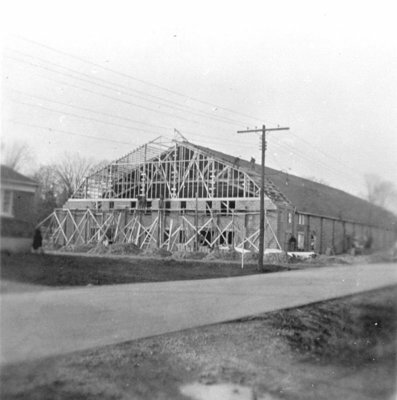 This photograph shows the front of the arena where the meeting and dressing rooms were located. Construction of Whitby Community Arena, 1953, unknown photographer. Whitby Archives 21-003-012.